Good morning and welcome back! Readers in Columbus, Ohio: Join Axios’ Mike Allen tomorrow morning at The King Arts Complex for a breakfast conversation on the future of work. Driving the news: Ocasio-Cortez, a rising progressive star, attended the demonstration yesterday by young climate activists with the Sunrise Movement and Justice Democrats. “This is about uplifting the voice, and the message, of the fact that we need a green New Deal and and we need to get to 100 percent renewables because our lives depend on it," she told reporters, according to several outlets. Oil prices ticked up a little this morning after yesterday's steep drop accelerated what has been weeks of declines. "Crude oil has lost over a quarter of its value since early October in what has become one of the biggest declines since a price collapse in 2014," notes Reuters. This morning, Brent crude was trading at $66.25 and WTI crude at $55.74. Why it matters: The big drop in prices underscores the ample supplies sloshing around global markets, and traders' view that the supply picture will remain robust despite U.S. sanctions against Iran. That thinking was underscored this morning when the International Energy Agency, in their monthly oil market report, said big producers have "heeded the warnings" about price spikes and replacing Iranian and Venezuelan barrels. The world's three largest producers — Russia, the U.S., and Saudi Arabia — are all producing at record levels, IEA said. The big picture: The IEA report paints a picture of ample and growing supplies relative to demand growth. They note that global output last month was 2.6 million barrels per day higher than the same time a year ago. Higher output by big producers and the temporary Iran sanctions waivers the U.S. announced recently point to growing global inventories in the fourth quarter — and even more in the first half of next year, if OPEC output holds steady (which it might not). But, but, but: Prices could be due for a rebound as OPEC and allied producers — notably Russia — discuss a potential output cut in 2019. Goldman Sachs analysts, in a new note, said the overall global supply picture "does not justify the magnitude" of yesterday's selloff. From Joann Muller's Axios Autonomous Vehicles newsletter ... The era of EVs — and with it, AVs — may be dawning, but guess what? "2018 has been a phenomenal year for the humble internal combustion engine," writes Richard Truett in Automotive News. 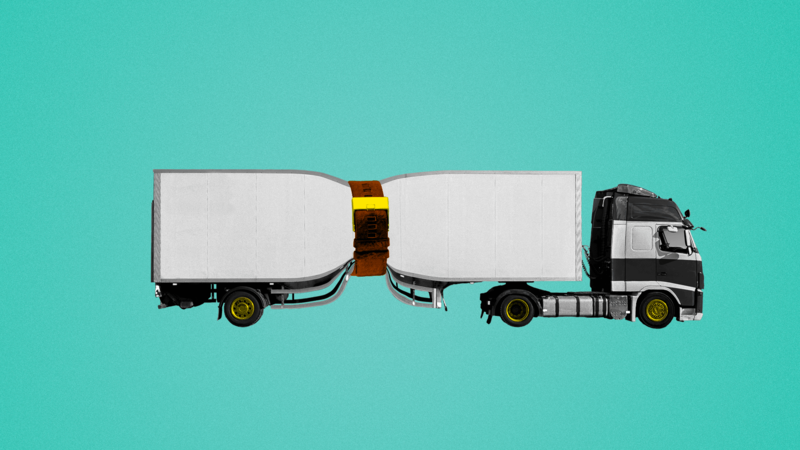 Environmental Protection Agency Administrator Andrew Wheeler yesterday announced his plans to review — and likely make more stringent — air pollution standards for heavy-duty trucks, Axios' Amy Harder reports. Why it matters: This is the first time the EPA under President Trump is looking to significantly tighten — not loosen — air pollution regulations. Most of EPA's focus since the 2016 election has been to roll back environmental rules issued by then-President Obama. The big picture: Expect this rule to be the exception, not the new norm, of an agency still primarily focused on rolling back the aggressive regulatory agenda of the last president. Driving the news: Wheeler announced his intent to tighten regulations limiting nitrogen oxide emissions from big trucks. Nitrogen oxide is a pollutant that contributes to smog and poor air quality. The current standards haven't been reviewed since 2001. Yesterday's move was not a formal rule-making step, and EPA officials say the proposal isn’t expected until early 2020, with a final version expected by the end of that year — right after the next presidential campaign. Yes, but: Wheeler and Bill Wehrum, the EPA's assistant administrator for air and radiation, said they don’t yet have a specific target in mind for the new standards and may be able to cut pollution without increasing the standard itself. "One thing we know is these types of vehicles can be made cleaner, lower emitting," Wehrum said. He went on to say that the rules could be changed in a way that lowers emissions without actually lowering the standard. He added that the agency would "definitely look to see if the numbers need to come down." One level deeper: This is an example of industry wanting the EPA to update a standard when they have an administration friendlier to their position than, say, an EPA under President Hillary Clinton might have been. Wehrum said he’s met with many industry groups and companies, adding, "What we have consistently heard, is they think it’s time for an update." State air agencies had asked Obama's EPA to lower the standard, and the agency said it would in late 2016, right after Trump's victory. Axios Expert Voices contributor Joshua Rhodes unpacks the rather lopsided loss of a carbon tax ballot question in Washington State. It would have been the first CO2 tax enacted via ballot measure. The big picture: The carbon tax, which would effectively increase the cost of producing, distributing or using fossil fuels, has emerged as a theoretically promising compromise to people on both sides of the aisle, as it would create a market-based incentive for companies to pursue aggressive action on climate change. But in practice — and even in a solidly Democratic state — the public appears unwilling to pay for it, at least in the iteration that was on the ballot in Washington State. Between the lines: The carbon fee and dividend would likely have sticking power, given that it already has something of a precedent: In the current fiscal system, the U.S. government taxes our income and then, if it takes too much, cuts us a check every April. Because people love the idea of getting a check in the mail, the program would likely gain popularity as soon as people got their first carbon dividend, as it did in Canada. But enacting such a scheme would still be an uphill battle. The intensity of the wildfires raging in California is just the latest example of climate change's deadly manifestations. Driving the news: Northern California utility Pacific Gas and Electric (PG&E) is under renewed scrutiny as a possible culprit in the Camp fire, which has devastated towns north of Sacramento, raising serious questions about the fitness of the utility's equipment and its compliance with state safety laws. In the aftermath of Hurricane Harvey, Texas has put forward a $12 billion request for federal assistance to build a sea wall and other infrastructure to protect oil refineries along its coast. It's unclear if Congress will provide the funds. All these events are a clear indication that many energy companies are not prepared for increasingly grave risks to a secure and reliable energy supply.